West Bengal Health Recruitment Board (WBHRB) invites application WBHRB Recruitment Advt. No. R/ F.Mgr. 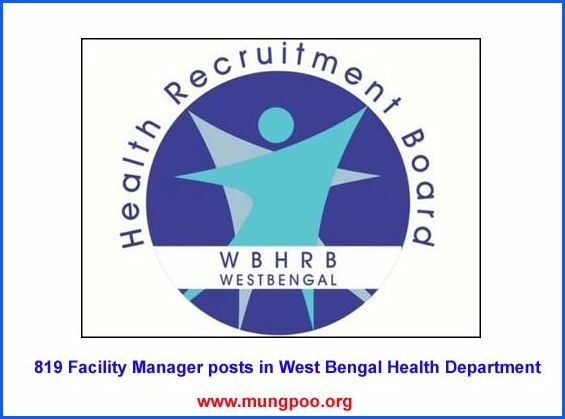 /62(1) /2019 for the recruitment posts of 819 Facility Manager vacancies in West Bengal Health Department. Education required: Graduate degree in any discipline from a recognized University.